Cirque du Soleil has a new show, Toruk The First Flight. It’s inspired by the movie Avatar and it looks amazing. It’s actually set thousands of years before the film which is a neat concept. 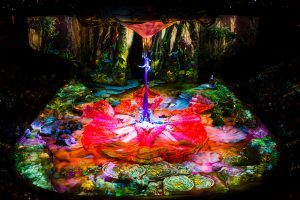 If you haven’t been to a Cirque du Soleil show yet, this is a great one to check out. 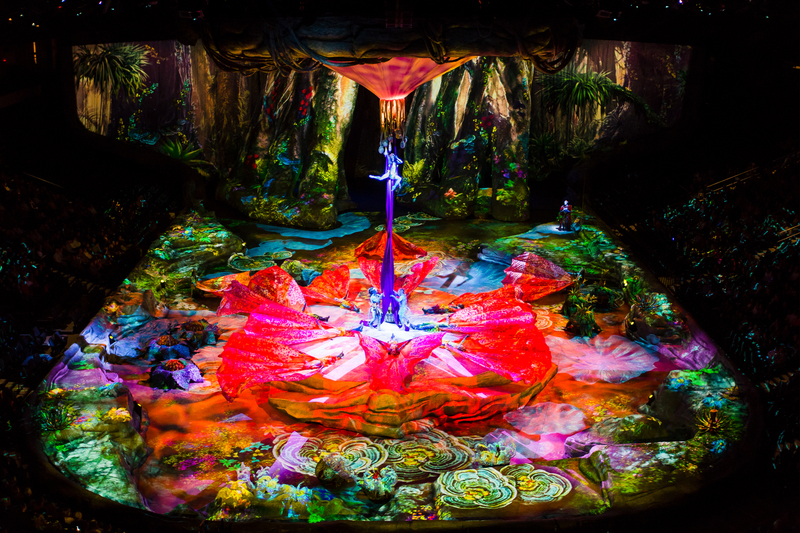 It’s a totally immersive experience, with the music and all the activity on stage you feel transported! Tickets are on sale now and the show starts October 5th in Winnipeg. Love that Winnipeg is getting world class shows like this! If you’re buying tickets, make sure to use this link to get $10 off! One lucky person will be winning 4 tickets to Toruk in Winnipeg on opening night! 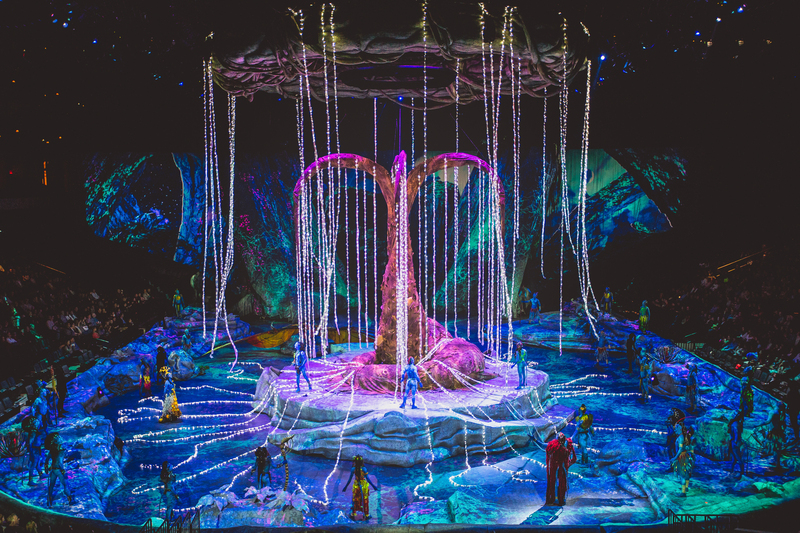 4 – Follow Cirque Du Soleil on facebook and comment that you did so. Giveaway is open to all Canadians but you must be in Winnipeg on October 5th to see the show! 🙂 Giveaway ends Friday August 19th at noon – Good Luck everyone! Congrats to Kathleen W. who wins the tickets! I would bring my kids. They would love this. I would take my little girl! My little gymnast would love it! Tweeted, posted on FB, followed Cirque Du Soleil on FB and followed MTS Centre on Twitter!! I would take my mom, my bestie, and my sister in law! I would bring my daughter Nicole and my husband JL. I would bring my niece and daughter and fiancé. Tweeted, posted, followed both!!! This show looks awesome! It would be a great evening out as a family. Kids would really enjoy this. Would bring my husband and our best couple friends! Posted it to my Facebook ? Followed Cirque du Soleil on Facebook too! My nephews would go with me. They’ve never seen anything like this so it would be a unique experience. I’d bring my husband and 2 friends as I enjoyed watching Cirque du Soleil and all kinds of themes. I would love to take my daughter, her best friend and her bestie’s mom/my friend Lori! I would bring my sister. i would take my bf and best friend Mike. liked cirque on fb. follow mts on twitter. shared post on fb. I would bring my kids & mom. We would love it! Thanks for the chance to win! Shared this post on FB ? Good luck everyone! I would bring my husband and my parents. None of us have ever see a Cirque show! Oh wow, I would love to take my parents & my hubby. my new twitter status today! I would bring my wife, son and my sister in-law. I have never seen a cirque de soleil show ever. I’d take my husband of course. I would bring my friend. I would bring my hubby and kids! I will bring my hubby with me! ? I would take my mom, dad and husband! I’d love to take my lovely wife and my little girl. She would love to take in her first show. I would bring my hubby & a couple of friends with me. Thanks for the chance. I would take my friend Madeline. I would bring my daughter, my Mom and my Aunt! Ladies day out! Shared on FB and tweeted too. Thank you! I would love to bring my husband and kids!! I linked this to Twitter and Facebook. Also following cirque and MTS!! I would bring my sister tara. I am following on Facebook and reposted also. Hubby & daughters! What a show it would be! to Toruk The First Flight from Cirque Du Soleil. Who would you bring to the show? I would bring my mother,my sister and my niece. I Tweeted out the link to this giveaway. I Like Cirque Du Soleil’s Page on Facebook and i follow them. Toruk The First Flight from Cirque Du Soleil in Winnipeg. I would love to bring my kids and my mother in law!!! Thanks! I would bring my hubby and 2 kids. I would bring my son, hubby and my mom!!! Toruk The First Flight From Cirque Du Soleil. I tweeted out the link to this giveaway for an extra entry. I would love to bring my family ! Just made my Facebook status! I would bring my Mom and my girls! and made this my status! Hope I win! I would take my son and my partner! I would bring my sisters! Girls night out! I would take my daughter, my cousin (who is like a daughter to me) and my grandfather. Take my wife and two kids. I’d take my husband and a couple of our friends for a date night out without the kids (too young for this show, I think). I posted to my timeline and liked the cirque page. I don’t do Twitter, so I wasn’t able to enter that way.? 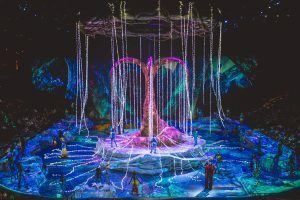 Toruk The First Flight by Cirque Du Soleil in Winnipeg. I tweeted out the link to your giveaway for an extra entry. I followed Cirque de Soleil on Facebook. I followed MTS on twitter. I will bring my husband and kids to the show!!! They will love it!!! Tweeted out the link to this giveaway!! Liked Cirque FB and following MTS on Twitter!! I would bring my husband and 2 children . following Mts Centre on twitter, and I twitted the link on twitter, liked Cirque Du Soleil on facebook ! I hope luck is on my side! Thank you for the opportunity. I would take my husband and children. We’ve never seen a cirque du soleil show (and never won anything). Thanks for this opportunity! I Tweeted your link to this giveaway for an extra entry. Toruk The First Flight By Cirque Du Soleil. It would be great to win these Cirque Du Soleil tickets. My kids and my mom would love to go! I would bring my husband and two of our friends. Ive shared and followed! If I won 4 tickets to the Cirque Du Soleil show I’d bring my two daughters and mom. It would be terrific to win these Cirque Du Soleil tickets. I have never been to any of their shows. I would bring my partner and kids. I shared the link on Twitter and Facebook. I liked the Cirque duffy’s Soleil Facebook page. I am following MTS Centre on Twitter. Cirque du Soleil Facebook page is what autocorrect didn’t want me to say. Haha! Toruk The First Flight Cirque Du Soleil Tickets. I tweeted the link to your giveaway for an extra entry. It would be a nice night with my husband since October 7 is our wedding anniversary !!! i would another couple along with us ! I follow cirque du soleil on facebook and shared it ! I would take my mom! ? I would bring my husband and my parents. It will be a first for all of us! I shared your giveaway on Twitter for an extra entry. I would bring my hubby and grandkids. Toruk The First Flight By Cirque Du Soleil Tickets. I tweeted your giveaway for an extra entry. I would bring my husband and two daughters! Followed cirque du soleil on facebook! I would bring my much better half Brenda and a friend and her daughter. I retweeted the post. I been following Cirque du Soleil on Facebook for years. I follow MTS Centre on Twitter. @Swimmingly_All the bases covered. Thanks for the chance. I tweeted your giveaway link for an extra entry. I would bring my SO David – we LOVE Cirque! Followed Cirque on FB, MTS Centre on Twitter. I would bring my hubby & daughters! I posted the link to this giveaway on Facebook. I follow Cirque du Soleil on Facebook. I follow MTS Centre on Twitter. Tweeted out the link again today. I would love to take my hubby to see this show! We both really Love Cirque! Thanks so much! tickets to see Cirque Du Soleil Toruk The First Flight. I tweeted your link for an extra entry. I have never seen One of their shows. I would bring my husband, my son and my best friend! I would love to bring my husband along to this show. I haven’t been to any of their shows. I tweeted out your giveaway link for an extra entry. I would take my Mom and Dad and my oldest daughter. I would take my wife, daughter and grandchild. I have heard such wonderful things about the show. I think it would be awesome! I would take my girlfriend, sister and sister-in-law (Kayla, Bridget, Andy). Girls night! I have also liked the Facebook page and posted this link on Facebook and Twitter. Thanks for the chance! I would take my 2 daughters and my friend Lenore! I would bring my parents and my boyfriend. What a great night that would be. Followed both, tweeted, and shared! I would bring my girlfriend as we have never seen it before and my two best friends so we can all go on a double date. shared on FB. I would love to take my family to see this. I’d bring my girlfriend. Great night out!! I would bring my husband, Cory, my mother in law and my mom!! I shared your giveaway link on Twitter for an extra entry. I would take my husband for our anniversary. It is one of our favourite shows to see. I have also shared this on Facebook! Thank you for the opportunity to win! I’d take my momma Angie! ✔ Following MTS Centre on Twitter✔ liked and following Cirque on Facebook✔ copied link as my Facebook status✔ Tweeted link✔ GOOD LUCK everyone! I would bring my daughter’s. They never ask for anything. They both are so kind hearted for only 8 and 10. Always thinking of and wanting to do for others. Cirque Du Soleil Toruk The First Flight in Winnipeg. Thank you for this ticket giveaway. Would like to take my family! I would take my family. We love Cirque shows! I would bring my kids and my friend. I would bring my daughters to this, I think they would love to see something as amazing as this! I posted this link for my Facebook status. I am following Cirque Du Soleil on Facebook. I am following MTS Center on Twitter. Good Luck Everyone! Thank you for the chance to win tickets! I would bring my boyfriend and siblings! Cirque Du Soleil’s show Toruk The First Flight. Cirque Du Soleil’s show Toruk The First Flight in Winnipeg. I would take my husband & Grandkids to this amazing performance. Following MTS Centre on Twitter @alicesp18 Following Cirque on Facebook! POSTED contest link on both Facebook & Twitter. THANKS FOR A PERFECT CONTEST! Shared on FB. Silly me, I didsn’t realize I was permitted to do this action daily. Whoops! I would bring my husband and kids. It has been a stressful summer, we need a break. Would love to bring both my children and my lovely boyfriend to experience this once in a life time show!